Avoid the crowds and take a ‘green’, more convenient & relaxed approach to your festive shopping this year. Visit your favourite GCA garden centre and be inspired by the practical, stunning and living options on offer!! Festive trees – choose a living tree! Many indoor trees are suited to this purpose – or opt for a ‘local is lekker’ indigenous tree that can be replanted into the garden after the holidays. Entertaining over the holidays? Solar garden lights are the way to go… Garden lighting remains a big trend – light up pathways, trees and feature plants the eco-friendly way. Easy to use and readily available, it’s time to treat yourself and your garden – or wrap them up as a stunning gift option for friends that have it all! Add a living touch to festive gifts. Fact – plants make thoughtful inexpensive gifts and are typically well received! A simple pot of seasonal colour (seedlings or indoor plants) can easily be transformed into gifts for grannies, aunties and even teachers. Succulents (like the gorgeous green and red crassula), bonsai and trees are a safe option for grampa’s and uncles. Herb gifts are loved by ‘almost everyone’, as are bird feeders, trendy garden tools and DIY kits. Roses are long lasting and meaningful gifts. 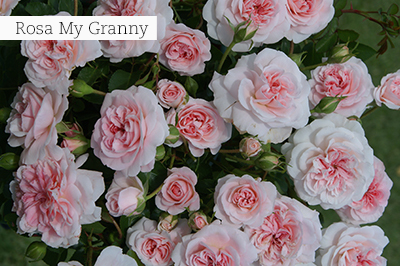 With a multitude of special names and colours to choose from, you can add perfume and colour with favourites like ‘My Granny’, ‘Forever Friends’, ‘Peace’ and many, many more. Outdoor entertaining is at it’s best in South Africa! Garden furniture and hardware can make all the difference if you’re home for the holidays… from a small bird feeder to a large hanging garden chair – all of which can be found at your chaos-free, calm local GCA nursery! The key to greening up your lawn is nutrition. 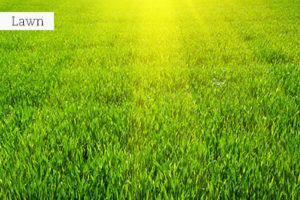 All lawn fertilisers are specifically blended for this purpose. Watering is essential after all fertiliser applications, so make sure you plan the monthly fertiliser application to co-incide with your watering schedule. Be informed and aware of the watering restrictions in your specific area – most regions only allow watering between 6pm and 6am. Schedule accordingly. Neaten the borders of your flower beds with edging materials such as cobblestones or wooden poles. Edging is available from leading garden centres in a range of different lengths, heights, colours and styles. Galvanised, powder coated, wooden and synthetic options are available – so there is sure to be a style that suits your style! Take a moment to… smell the roses. On a peaceful summer’s evening, with the crickets chirping in the background, sit down quietly in your entertainment area and admire your efforts. If you see anything that looks neglected, hide it away with trellis panels or bamboo screens – nurseries have many options in stock to hide any unsightly thing. Colour your garden this December! 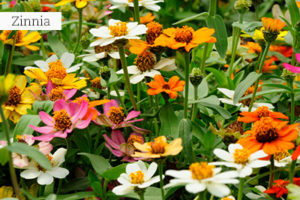 The quickest, easiest way to add colour to your garden is with annuals. Summer flowering annuals are available in all shapes, sizes, styles and colours… The options are endless and exciting. Visit your local GCA for regional advice or choose your favourites from the selection on offer. Trends for Summer 2016 vary… single bold colours, in mass remain popular and red traditionally dominates over the holidays. For a colour display that extends into the new year, buy mixed trays of seedlings and opt for mixed plantings in containers, beds and borders. Hanging baskets add cheer! If planting your own, remember to add water retention granules to the potting soil. Full sun during December and January can be really intense, so opt for hardy colour options such as zinnia, marigolds, portulaca and alyssum. 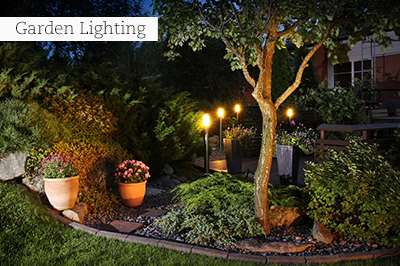 Light it up – string up some fairy lights all over the garden. Wind them around tree stems, around planted pots, and any other place you can think of. Go knock on your own front door to check if this important area makes you feel welcome! If not, clean it up and add some beautifully planted-up specimen pots at the door. Hammer a lovely festive wreath made from plant material out of your garden onto the door. Go “Green” with real-life festive trees There is something very special about living trees being used for the festive season. The holiday season is all about that ‘feel good’ feeling… and opting to go ‘green’ somehow just makes you feel great! Plus, you can plant your tree in the garden after the holidays and use it in next year’s festivities! Some of the options for daring and different festive trees include: wild gardenia (Gardenia thunbergia), Henkel’s Yellowwood (Podocarpus henkelii ), or a thorny number like a well-branched fever tree (Vachellia xanthophloea). If you are a traditionalist, trust on conifers like Cupressus macrocarpa ‘Gold Crest’, for that gorgeous green and gold touch. The value of an edible garden is best appreciated during the holidays! Somehow ‘cooking’ is more fun when the regular routines are forgotten. The holidays lend themselves to entertaining and we are more likely to experiment and to try ‘impress’ when guests are around. Rocket – add to the sandwiches made with your left overs! Almost all your salad components can now be harvested fresh – Tomatoes, lettuce, cucumber and celery. Butternut, spinach, carrots and sweetcorn offer a stunning range of vegetables from which one can choose. Also remember to add a touch of ‘sweet’ to the home growing goodness. Strawberries, Watermelon & Sweetmelons are all at their best in summer! PS: Strawberries should be ready for harvesting. Plant your own if you have not done so yet! No summer garden is complete without scented plants, so add more Roses, Gardenias, Heliotropes and Lavenders. One can even use these as festive (and sweet-smelling!) table decor or gifts for loved ones. 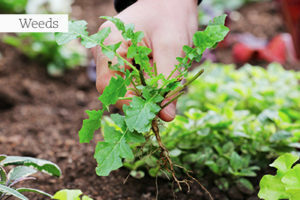 Trim back spring growth, pinch back perennials such as Fuchsias, Geraniums and Mini petunias (Calibrachoas), and dead-head annuals regularly to encourage more flowers. Stake tall plants with soft ties. Two-spotted mites (red spider) is a pest on many plants in hot and dry weather. One of the symptoms is light mottling on leaves, which will eventually turn yellow and fall off. Infestations of spider mite is normally caused by bad air circulation and a lack of humidity. 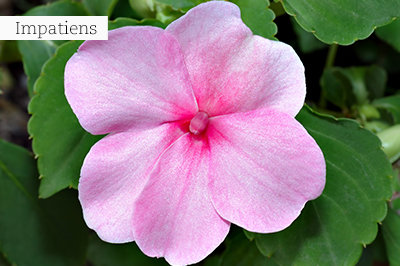 They are easy to treat – ask your local GCA nursery for assistance. Summer herbs and veggies to keep on sowing include basil, marjoram, chives, oregano, coriander, thyme, borage, peppers, chillies, eggfruit, and spinach. Pinch side shoots of tomato plants and mound soil up around potatoes. Control caterpillars with biological caterpillar insecticide. Pick and bottle fruit for later use. If you are struggling with patchy lawn in shady areas, determine if you really want lawn there. Pavers and a small seating area surrounded by a bed with shade-loving plants like Aspidistras and Plectranthus varieties might work better. If you want the area to remain lawn, quickly over seed the bare spots with grass seed suitable to shade. 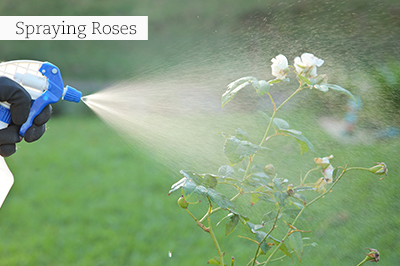 If water restrictions are in place and you can only water your roses with a bucket, bury some plastic cool drink bottles next to the plants. First cut of their broad bottoms and bury them with their necks facing upwards and at soil level. It is now easy to fill them up with water which will reach the rose’s roots. Add a layer of mulch 2 to 3cm thick around each rose bush. 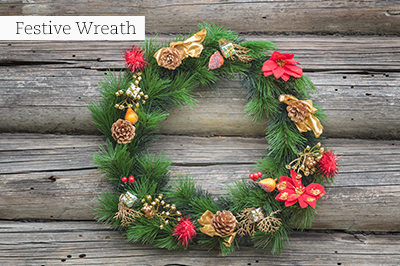 Plant up a festive wreath with succulent plants like echeveria. You can use circular floral foam rings (available at florists, or your local nursery!) and simply stick unrooted echeveria rosettes in there. If you spritz it with water now and again, they will actually root into the foam and you will have new plants for the garden after the festivities. Clip all the hedges – take care to neaten up below them too, as it can become a hiding place for all kinds of rubbish. If you have a lot of topiary shrubs, give them a light trim and thread some solar powered fairy lights through them – it adds an instant festive touch. 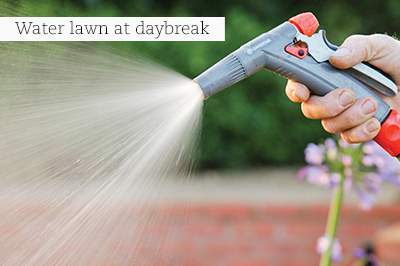 Water your lawn at daybreak before the wind comes up and feed with a general fertiliser. Lawn bare spots can be an indication of lawn caterpillars, so keep a lookout for them and spray with an appropriate remedy. Invest in flowering house plants for the festive season, which will stay in flower well beyond your New Year festivities. Poinsettias and Moth Orchids are ideal for indoors and flowering hydrangeas and sweet-smelling Gardenias can be placed on the patio. Special touch: Fill your house with Hydrangea flowers. Pick mature flowers (all the little florets must be open), scrape 5cm of the bark off the bottom of the stem and leave them overnight up to their necks in cold water before arranging them in vases. If you do not have access to Hydrangea flowers, now is the right time to buy these plants in flower! 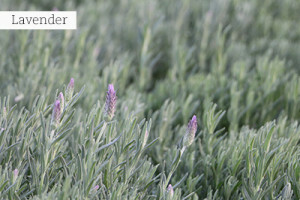 Do not overwater Mediterranean herbs like rosemary, lavender and thyme. They like it dry in summer. Going on holiday? Postpone delicate tasks like seed sowing, division, potting up and the taking of cuttings until you are home again. 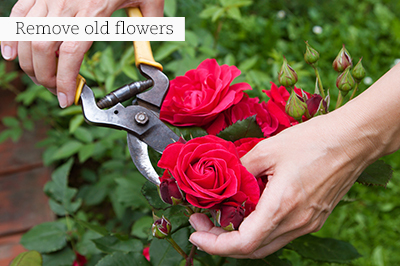 Remove old blooms and dead-head repeat-flowering plants just before leaving to encourage new flowers for when you return. If you do not have an automatic irrigation system, ask a friendly neighbour to water your garden in your absence. To make it easier for your neighbour, attach time switches and hosepipes on all taps, and group potted plants together in the shade of a tree where they will dry out less quickly and will also be easier to water. Do not forget to add water retention granules to all your outdoor pots before leaving. Get a friend or neighbour to mow the sidewalk. An unkempt lawn is a sign of an empty house. Water all indoor plants and place them on an old blanket, which is wetted down well in the bath. Leave bathroom curtains or blinds open to allow for the most light. Tired of being chowed by insects when having a braai? 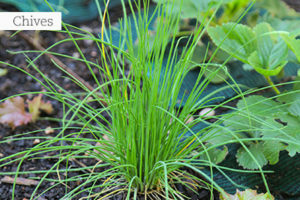 Plant up the following insect- repellent plants in a large clay pot: Lemon grass, rosemary, lavender, mint and lemon thyme. This way, you can move the pot around and keep insects at bay, wherever you are sitting! Add seedlings of bright orange French Marigold for welcoming colour. 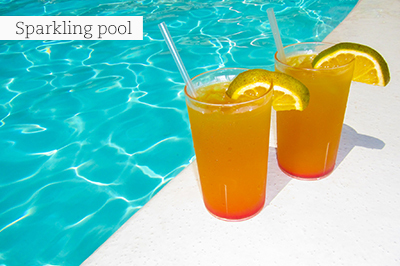 It is said that the colour orange stimulates the appetite – something we need at a braai! Rainy weather brings fungal growth; keep an eye on flowering plants which could be infected by mildew and rust, and spray diligently with an appropriate fungicide. Special touch: Tie bunches of fresh herbs like sage, rosemary, lavender and bay leaves together with string to decorate the festive lunch table. Don’t mow your lawn too short as it will then be too exposed and it won’t be able to cope with any heat stress. Plant more Impatiens, coleus and Begonias in window boxes and pots to add colour to lightly shaded places. Feed Hibiscus and water well afterwards. Top up hanging baskets with water retention granules to stop them from drying out too fast, water them regularly (even daily if needed), and keep on turning them to stimulate even growth on all sides. Special touch: Dig out (or buy) a dainty ground cover like Soleirolia soleirolii (baby’s tears) from your garden and plant them in small clay pots to decorate the table and to give away as gifts. Tip-wilters on the soft tips of roses, Dahlias and Abelias. Fruit fly on pumpkins, squashes and fruit trees. Amaryllis caterpillar on crinums and other bulbous plants. Mildew on roses, Dahlias and Cleomes. Whitefly on beans and Fuchsias. Outbreaks of red spider mite during hot, dry weather. To avoid blight on tomatoes and mildew on cucumbers, squash and pumpkins, water them early in the morning to allow the leaves time to dry off before nightfall. Give citrus trees their mid-season feed of granular fertiliser. Spread evenly over the drip line 20-30cm away from stem. Mulch and water well. Go on a perennial spending spree with bright summer colour which will give you blooming pleasure for many months. Top of the pops in the garden and in the vase is Alstroemeria – especially the many extremely pretty and floriferous dwarf hybrids on sale now. Also add swathes of Gaura, Angelonia, Cuphea, lavender, Plectranthus ‘Mona Lavender’, Bacopa, perennial Verbena and Pentas – none of these need excessive pampering or watering! 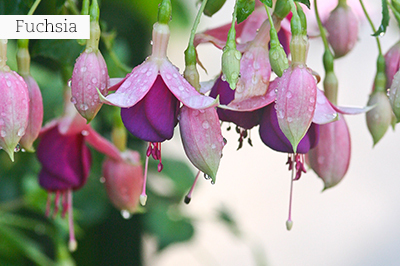 Whitefly infestations could be a problem on Fuchsias. Spray regularly against this pest – ask your local nursery for advice on spraying sequences (to break their fast life cycle) and the right product. Special touch: Gather mixed flowers from your garden and tuck them into everyday objects like glass bottles in a variety of shapes and sizes. Group them en masse on a window sill for maximum impact. Sow or plant a final summer crop of carrots and beetroot, tomatoes, fennel, dill and sweet peppers. Cut rocket back to encourage new leaves. Plant out some heat-busting seedlings of Vinca, Marigold, Celosia, Verbena and Salvia in garden beds and pots. 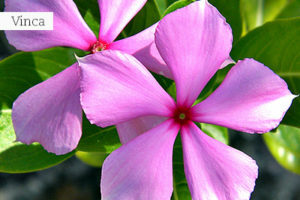 Add pizazz to your pool garden with tough and modern-day plants which need no pampering after being send to ground. Combine Coprosma ‘Pink Splendour’, C. ‘Pacific Night’, Cordyline ‘Electric Pink’, Phormium ‘Lemon Spritzer’ and Lotus berthelotii together for a lovely ‘tropical’ look which will create interest all year long. If you plant potato tubers in December, they will be ready to harvest in April and May, which can be stored and eaten in winter. Use your summer herbs this way: pick borage flowers to use as garnish in puddings and punches. Harvest the first chillies to add to marinades, salads and salsas. Pull off the leaves of pineapple sage, lemon verbena, mint, rosemary and rose geranium and steep in a bottle of dry white wine overnight. Strain and add some chilled champagne and lemonade to taste. Drink immediately! Some exciting summer showstoppers for December are zinnias, geraniums, gauras, calibrachoas and begonias. There’s also a wide choice of other plants with red or white flowers to brighten up your driveway, entrance and patio. Some options are Poinsettias, Salvias, Amaryllis, Impatiens and Dianthus. Planting in pots can save you a lot of water and you can move them around to different parts of your home to make a change. 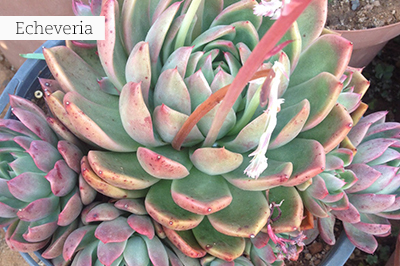 Succulents are an ideal ‘living gift’ to give this Festive Season. One can never have too many gorgeous succulents. Plus, they are water wise! Buy lots of rosemary plants to give away as gifts too. Also plant some rosemary in a pot to supply you with sprigs to add oodles of flavour to your roast lamb. Special touch: Fill quirky containers with succulents like echeverias or tillandsias (air plants) and dot them all over the house. In the veggie garden, protect vegetables like cucumbers, marrows, pumpkins and fruit like melons and mangoes from fruit fly. Sow Swiss chard and plant another small batch of dwarf beans. Top up bird feeders, ponds and water features with fresh water regularly and reduce floating plants to allow light to filter through to the deep-water plants below. If waterlily buds are attacked by aphids, immerse them with a piece of heavy mesh in the water for a few days to drown these pests. Plants offer a living gift that will keep growing. Garden plants can last for years and will always be remembered and treasured. Indoor plants offer an ideal gift option for use on office desks, in the kitchen, lounge, patio or windowsill. Plants are an ideal for work colleagues, teachers and friends. 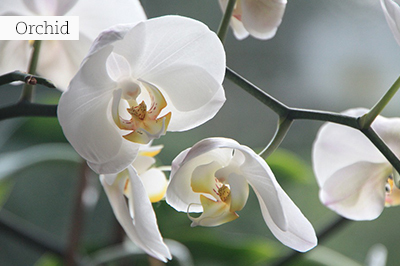 A stylish orchid for the lady that has it all! A bonsai tree for the man you know nothing about ☺!